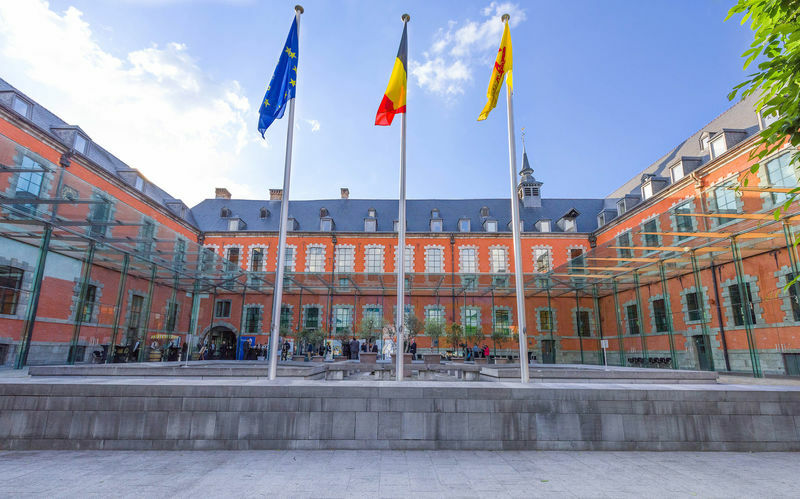 Kosher and halal slaughter will be outlawed in Belgium's southern region Wallonia from September 2019 if the legislature gives its stamp of approval later this month. The Environment Committee of the Walloon Parliament voted uniamously last Friday to ban the slaughter of unstunned animals, which is a requirement for both kosher slaughter. Similar legislation has been proposed by the parliament in Flanders region. The Brussels-Capital region has not yet dealt with the matter. Shechita, the ritual method of slaughtering animals, requires they be conscious when their throats are slit — a practice that critics say is cruel but which advocates insist is more humane than mechanized methods used in non-kosher abattoirs. Muslims slaughter animals in a similar method, albeit with fewer restrictions, to produce halal meat. The Belgian Jewish umbrella body CCOJB, an affiliate of the World Jewish Congress, had earlier warned that "a country that bans Jewish and Muslim rites by making it mandatory to use an electric stunning device of doubtful efficacy [...] is a country that tells Jews and Muslims that they are no longer welcome here." CCOJB President Yohan Benizri, who is also a vice-president of the World Jewish Congress, declared: "This indirect ban on ritual slaughter is very problematic for a part of the Jewish community, but the matter goes beyond that group and affects those who cherish the protection of religious freedom in general." Benizri added that there was not reasonable argument to support such a measure. European Jewish Congress President Moshe Kantor called the decision "scandalous." He said it sent "a terrible message to Jewish communities throughout our continent that Jews are unwanted." The move bythe Walloon region, where few Jews live, follows a March agreement that imposes limitations on ritual slaughter in the Flemish region, where half of Belgium’s Jewish population of 40,000 people live. The remaining 20,000 live in the Brussels region. According to the 'Joods Actueel' Jewish magazine, Flemish Region politicians are seeking the consent of Muslim and Jewish faith communities to a proposal in which small animals would be non-lethally stunned with electricity before they are killed. Larger animals would receive “irreversible stunning” — a term that usually describes a bolt pin to the brain — within seconds of the slashing of their throats in a procedure known as post-cut stunning.